An awesome article popped up on my Facebook feed this weekend as I was aggressively looking for updates about the Penn Relays! 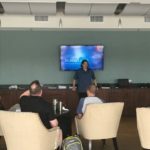 Dr. Josh Axe gets invited reguarly to speak on shows like The Doctors and Dr. Oz. It was awesome to see more in the news about Active Release Technique and how it can be used to treat most common conditions. Relieving tight muscles and trigger points can make a big difference in reducing joint stress and improving your overall quality of life. That’s why you should consider active release technique (ART). It can help turn on muscles that have been turned off due to injury and eliminate muscular pain. Active release technique is a type of soft tissue therapy that helps relieve tight muscles and nerve trigger points, greatly reducing joint stress or muscular pains. I’ve visited ART practitioners for years to help me overcome a number of muscle- and joint-related injuries. I teach this exact exercise several times a day as well as a few variations almost on the daily since the basis of most of our patients are runners. This exercise can never be done slowly enough, anyone can do this movement quickly but slow down and act like you have a hot cup of coffee in your hands. Almost everyone does these exercises quickly and while there is nothing wrong with that, slower is almost always better. Check out all the following videos on how to practice this excellent prehab movement for most runners struggling with “typical runner stuff”. If you are a South Jersey runner struggling with pain and tenderness as we lead up to the big part of summer running season which is just ahead (Broad Street Run, Philly Rock N Roll Half, Chicago Marathon, Philly Half and Philly Marathon are all on the horizon) give us a call at 856.228.3100. Welcome Runners! We have added a 5K Run for Babies to our Gloucester County March for Babies Event. This will allow runners and walkers to all come together for one common goal, to help give every baby a fighting chance. Run for Babies will start prior to the walk on Sunday, April 30 at our Gloucester County walk site at Rowan University. All runners will receive an official race number and chip timing. This is a certified course. The Run and the March will begin in the Rowan University Parking Lots D and C; at the corner of Carpenter and Bowe Blvd. The Course will run the perimeter of Rowan University. Registration for the run begins at 9:00am with the run starting at 10:00 am. For Run for Babies information call 856-375-8213. We had a new testimonial site over at http://my-testimonials.com/DrMarkKemenosh/3Y2Q1 that has been slowly building and we are getting some pretty nice responses! 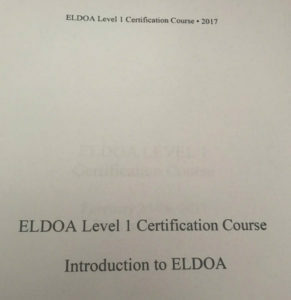 Mar 15 Comments Off on Jill Kemenosh is now Level I and II certified in the Eldoa Method! 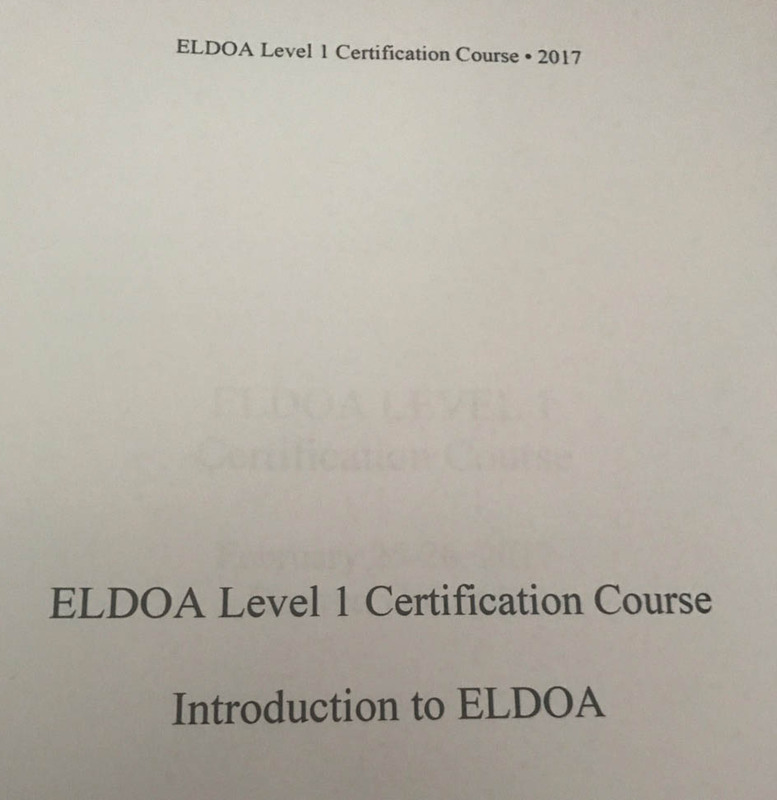 Jill Kemenosh is now Level I and II certified in the Eldoa Method! Dr. Mark was introduced to the Eldoa Method last fall at the TPI World Golf Classic and saw a great deal of refinement in the way they handled back related discomfort and pain when integrating exercises and stabilization movements into the mix. 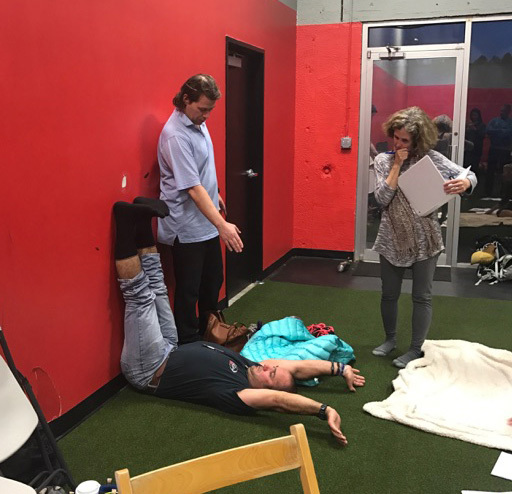 Once getting back and sharing some of the short videos he took at the seminar, his daughter Jill, a certified Pilates instructor took immediate interest since she has such close relationships with 5 chiropractors! 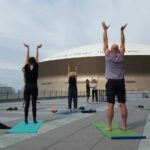 So what is the the Eldoa Method? 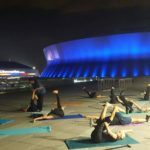 The ELDOA exercises and Myofascial Stretches are specific techniques created by world renowned osteopath, Guy VOYER DO. ELDOA METHOD Classes are semi private group classes organized by certified instructors. 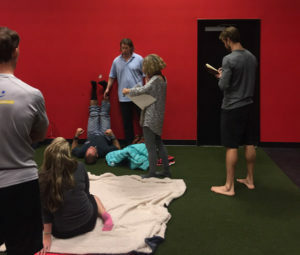 To see our last post about Dr. Mark and Jill taking the Eldoa part 1 certification courses last month, see the link below! 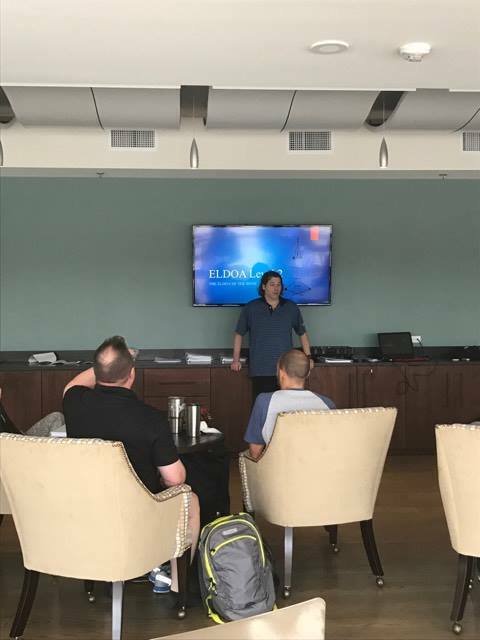 Without warning, and without Dr. Mark, Jill pressed on to part II of the Eldoa certification this month. 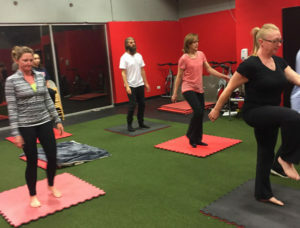 The mix at Eldoa certification seminars ranges from Pilates and Yoga instructors all the way up to Physical Therapists and Chiropractors, which for the most part are the practitioners who deal most with back pain of all sorts. 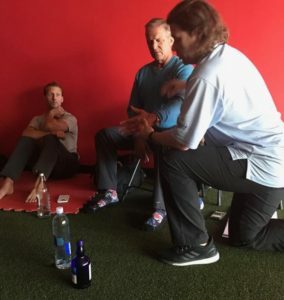 Definition: The ELDOA are postural exercises (LOADS) that you can do yourself with the primary goal being to increase the space within a chosen articulation. 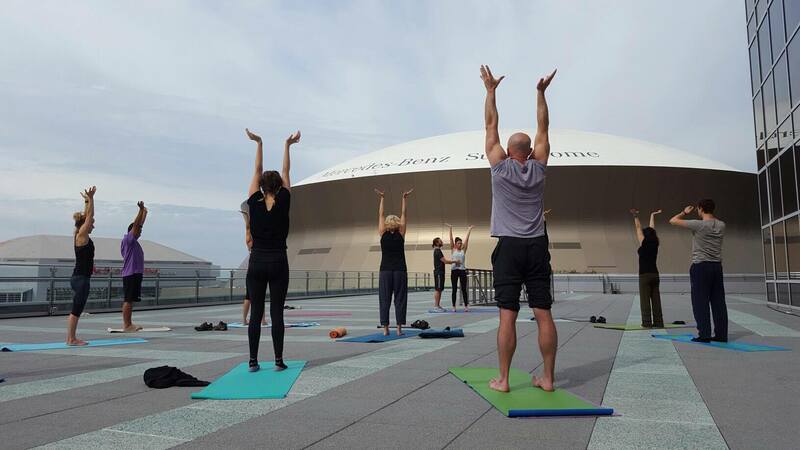 As the ELDOA “create” space, there is an improvement in joint mechanics, increased blood flow, reduced pressure on the discs, a reduction of pain, spinal disc rehydration, better muscle tone, improved posture, and a sense of well being and awareness. The human spine is a complicated and vital structure. Compression and articular blocks can cause pain, arthritis and neurological conditions. The ELDOA exercises are a highly effective solution to these conditions. The ELDOA are very precise postures that target a specific joint region to provide relief from pain and restore balance. LOADS (Longitudinal Osteo-articular Decoaptation Stretches) are postural self-normalizing techniques, which aim at widening the space within a pair of joints. It is possible in one minute a day to relieve disc compression between L5-S1 or even more specifically at the base of the long arm of the left sacroiliac joint. 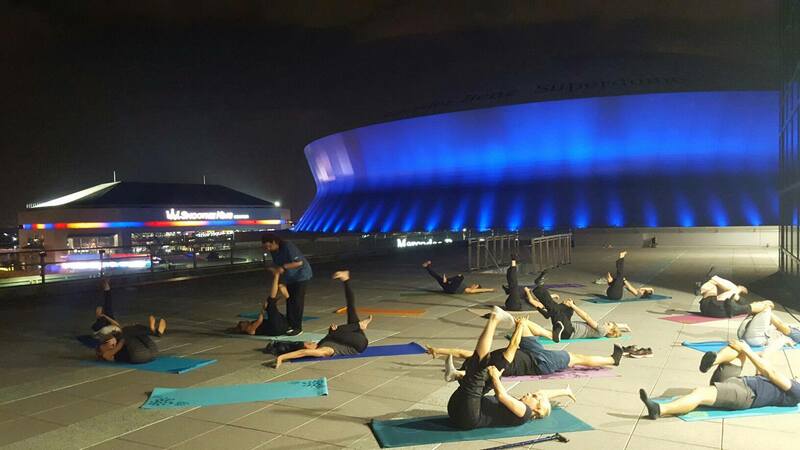 The coolest part of the seminars are that portions of the classes are taught right outside of the Super Dome in New Orleans! 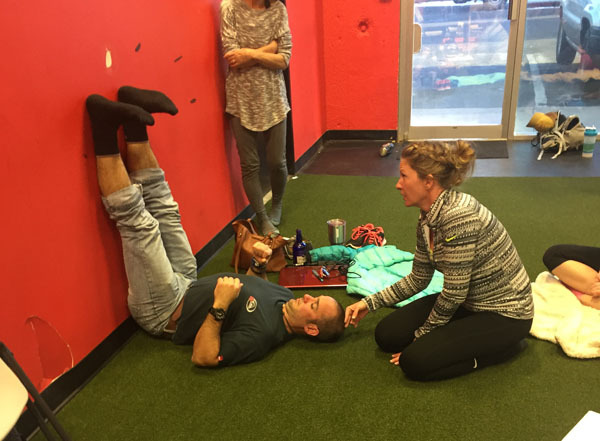 Check out these pictures and more from Jill’s second round of certifications in the ELDOA Method. Mar 02 Comments Off on Calling all Philadelphia and South Jersey manual therapists! 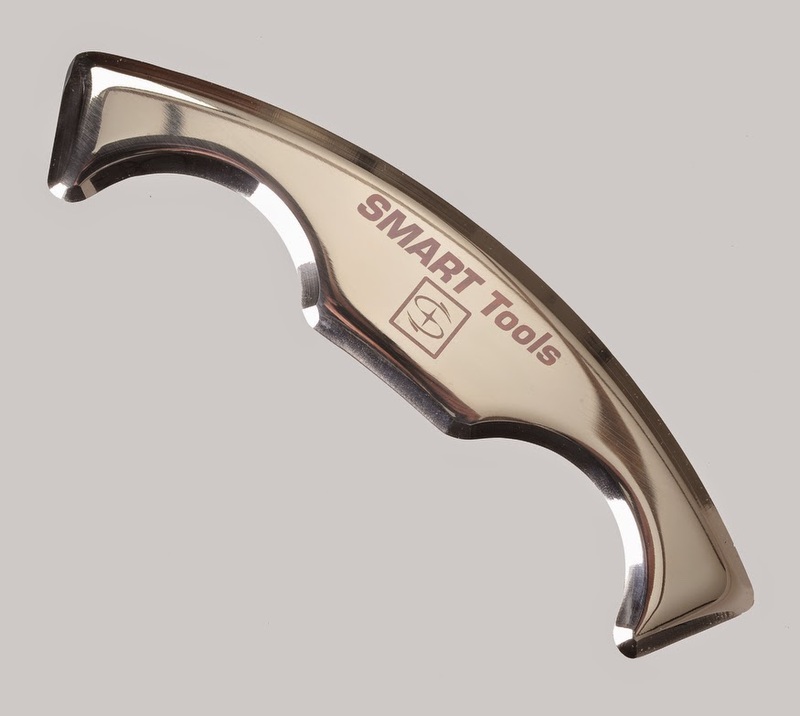 We are hosting SMART Tools with The Training Room! Calling all Philadelphia and South Jersey manual therapists! We are hosting SMART Tools with The Training Room! Dr. Mark Kemenosh and Associates with the help of our good friends at The Training Room Physical Therapy group of South Jersey are proud to announce we are hosting the SMART Tools Level 1 IASTM certification at our shared facility in Washington Township aka Sewell, NJ. We are putting the word out to everyone in manual medicine who would like to come out to feel welcome! We plan to have DPT’s (Doctors of Physical Therapy), DC’s (Doctors of Chiropractic), ATC’s (Athletic Trainers), and possibly more attending this event! The course is a full two days and will be held on July 29th and 30th, a little down the road in the middle of summer! This course lays the foundation for how to properly use the SMART Tools most effectively with respect to movement. 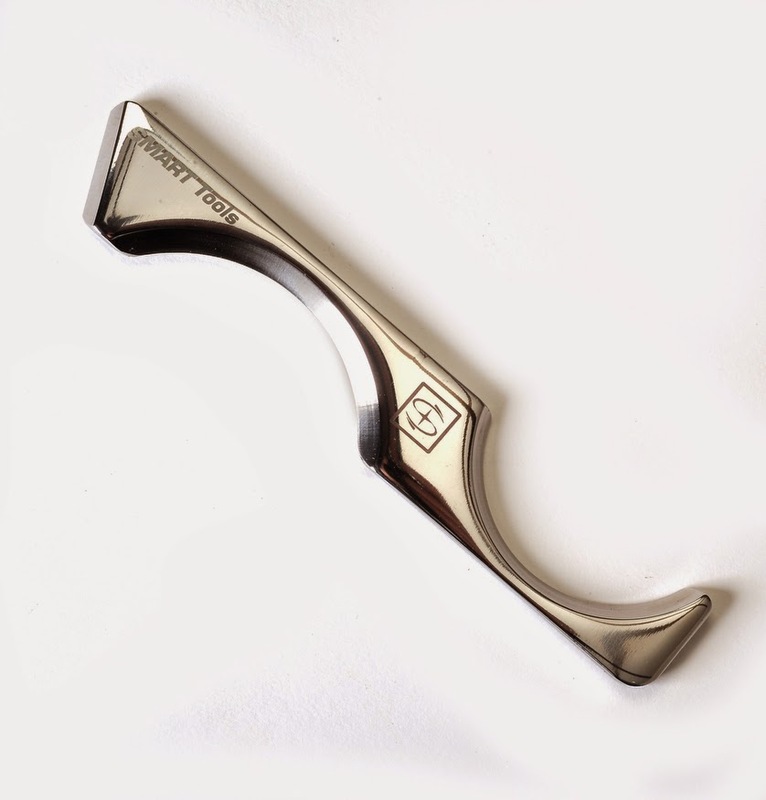 The tools were made specifically for these technique protocols to produce superior patient outcomes compared to other IASTM technique. 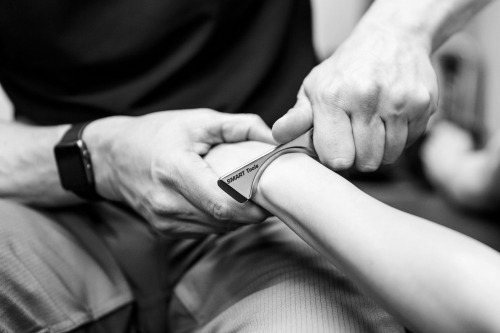 This is an evidence-based technique that stresses early loading exercises and kinesiology tape after SMART Tools treatment. The goal of therapy is to provide an optimal environment for the healing, by either modifying physiologic responses to injury (e.g., inflammation, muscle spasms, pain) or enhancing components of the normal musculoskeletal function (e.g., increase range of motion, increased muscular strength). No single therapeutic approach in isolation will completely resolve an impairment of musculoskeletal function. Smart Tool Plus® represents an approach to soft tissue manipulation that uses five different stainless steel instruments to release scar tissue, adhesions, and fascial restrictions. 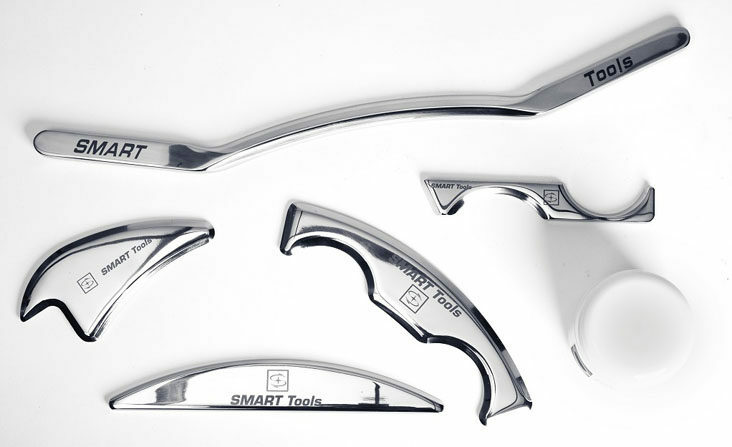 SMART Tools are designed to be used in conjunction with a thorough medical evaluation, movement based examination and other modalities to help patients overcome injuries. 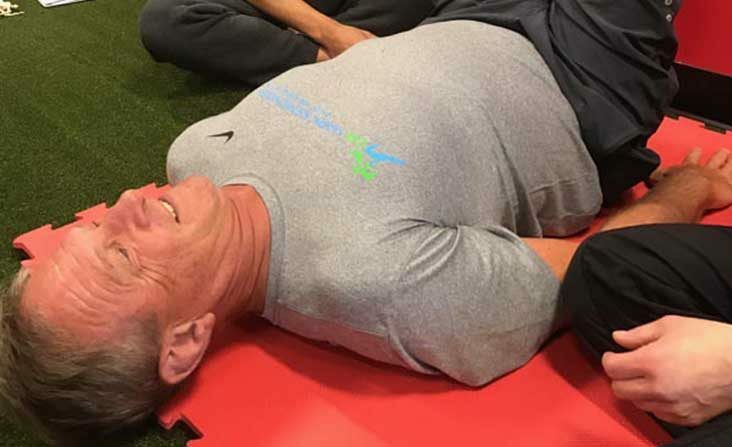 Therapeutic stretches and exercises (preferably eccentric exercises) are necessary to promote tissue lengthening and collagen fiber realignment, which help to prevent the released tissue from becoming restricted again. Demonstrate a working knowledge of the STP Instruments, STP treatments and potential effects and benefits. Identify and discuss the indications, contraindications (relative and absolute) of IASTM. 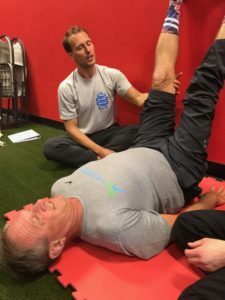 Review and develop a better understanding of soft tissue injury, healing and potential reactivity to instrument-assisted soft tissue mobilization (therapeutic and adverse). Develop skill and competence in the STP application of the IASTM to the major regions of the spine and extremities. This isn’t Gua Sha, nor is this another general IASTM course. 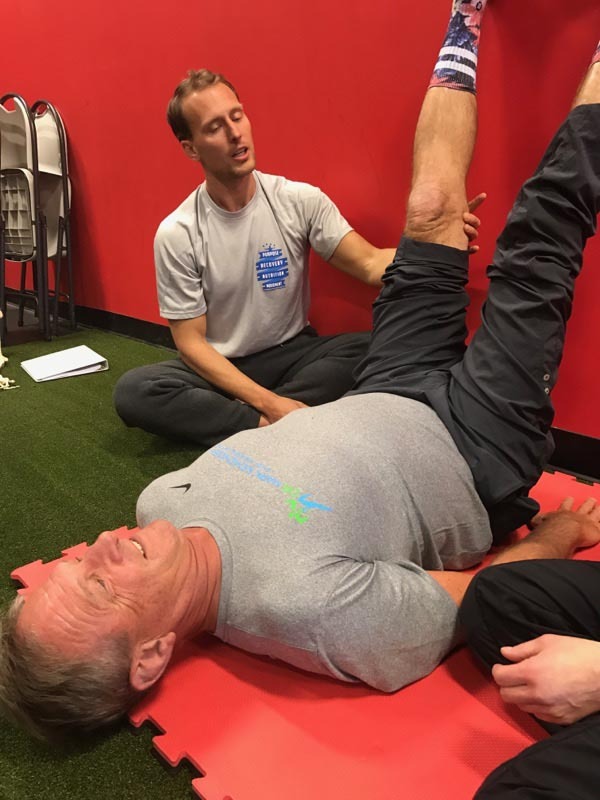 This is a movement-based IASTM course unlike anything currently offered. 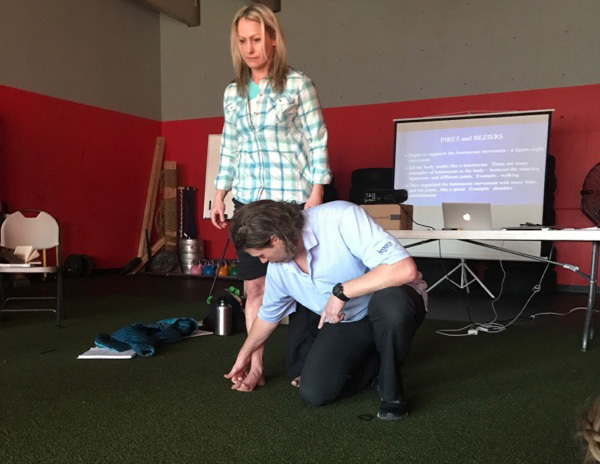 Our training course addresses the neurological component, as well as the physiological component of the IASTM and corrective exercises in ways other courses do not. This course is designed for clinicians that either have never used tools or have been using tools for years. Each will come away with new, innovative material. So if you want faster patient outcomes, quicker recovery time, improved clinician ergonomics to save your hands, and last but not least, no patient bruising, then register for a course today and add a powerful technique to your toolbox… no pun intended. Need more info? Ready to register? 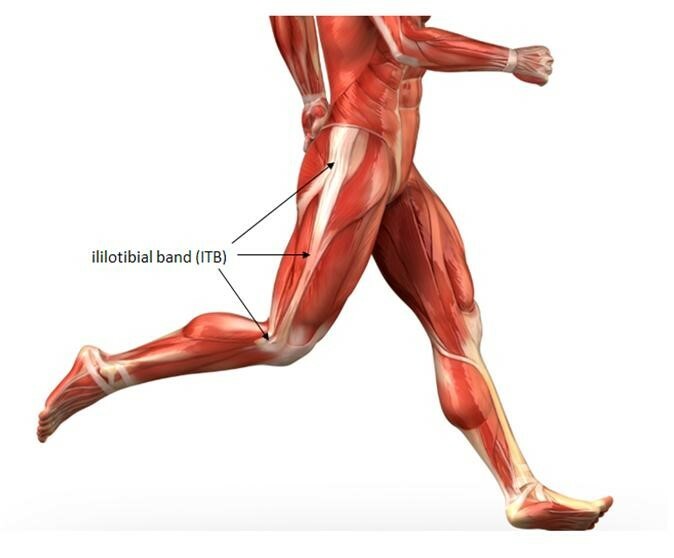 So a lot of our patients have issues with pain, tenderness and tightness in and around the Iliotibial Band, often times referred to as the ITBand. While in most cases there are various reasons why our patients present with pain in this particular tissue, treating it has been done various ways in the past, some with great success and some with no success. Here at the office we do our best to treat each patient individually using a mixture of treatment methods best on several things like the presentation of the patients issue, where it is located on the ITBand (near the hip, in the middle of the femur, or at the lateral border of the knee) and the mechanism of injury or in some cases the mechanism of aggravation (take that runners, cyclists, and crossfitters, I have a new way of explaining to you guys and gals who like to say to me “but I never actually hurt it”). In all conditions, the first thing most patients do is GOOGLE IT to see what comes up. In most cases of googling things that sound like ITBand Syndrome, here is an excerpt of the results. Iliotibial band syndrome occurs when the connective tissue (ligament) extending from the pelvic bone to the shinbone becomes so tight that it rubs against the thighbone. Distance runners and cyclists are especially susceptible to it. The main symptom is pain between the hip and knees that worsens with activity. Treatments such as physical therapy and sometimes corticosteroid injections may help. In rare cases, surgery may be needed. In my opinion, the only thing Google got right in the treatment section is that physcial therapy almost always helps because a good physical therapist will help you strength the posterior gluteal regions, lateral hips, hip rotators and the pressure on the ITBand will decrease in almost all cases. Every so often we find an ITBand that needs a corticosteroid injection but those are fairly rare as well. 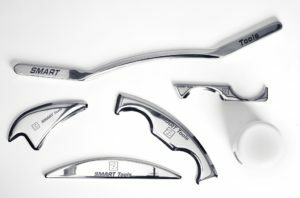 We are not the biggest fans of ITBand release surgical procedures unless something other than running 5k’s is the causation to the problem, but again, every tool has it’s purpose and when properly used/applied it makes sense. So getting past all of that, lets take a look at what we are working with here. 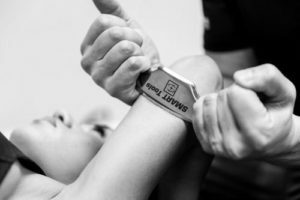 If you are familiar with our office, then you are familiar with the fact that we treat the Tensor Fasica Lata muscle on almost every runner and cyclist who comes to our office. 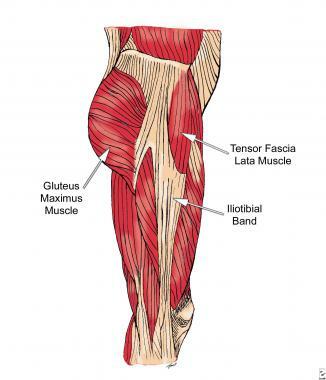 We also commonly treat gluteus medius, and sometimes gluteus maximus as well because the Iliotibialband itself is a fairly dense/tough piece of tissue that runs from the lateral border of the ilium down to the lateral border just below the knee and attaches to tibia, hence it’s name, the ITBand (Iliotibialband). 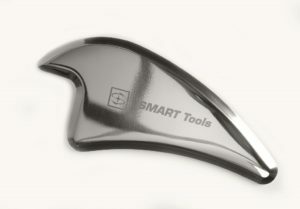 What a lot of patients don’t realize that now we are using SMART Tools as well for some “harder to deal with” cases of ITBand syndrome and this video from Smart Tools shows one very effective technique for mobilize the borders of the ITBand with motion. As seen in the video below, this is just another way that we are ever expanding our use of manual medicine here at the office and not just relying on Chiropractic Manipulation, Active Release Technique, RockTape, Corrective Exercises, or SMART Tools IASTM (Instrument Assisted Soft Tissue Manipulation) to keep you, our patient, going and doing what you love! Please note that if you ever need help from us about something giving you issues, please shoot us an email and will do our absolute best to get back to you in 24 hours or less! Need to see more pics of the Tensor Fascia Lata, Iliotibial Band, and Gluteus Medius you can trust, here is a cartoon version in a runner that is somewhat accurate. Lastly, here are a few shots from our meeting at the Haddonfield Running Co a few weeks back where we talked running, problems like ITBand Pain, ITBand Tenderness, ITBand Tightness, and ITBand Syndrome. 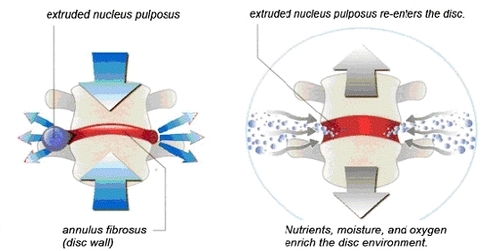 In these pictures I the Active Release Techniques movements for treating the Tensor Fascia Lata and ITB! 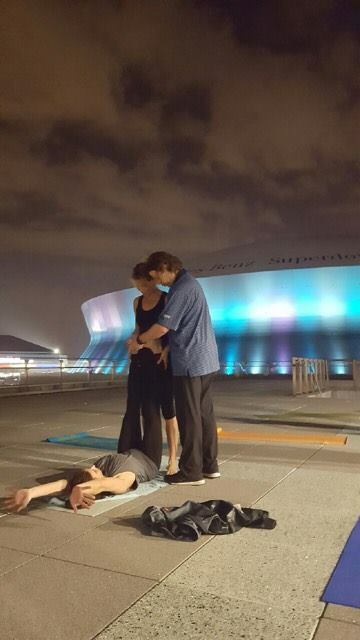 Jan 16 Comments Off on The Dan Patrick Show – Dan Patrick brings a Chiropractor to the studio for low back pain with sciatica! The Dan Patrick Show – Dan Patrick brings a Chiropractor to the studio for low back pain with sciatica! You should probably know know who Dan Patrick is, but if you don’t, he has his own sports talk show that is nationally syndicated across the country and currently hosts NFL Sunday Night pre-game and post-games shows on NBC. Before that however, we worked several years as one of the ESPN anchors who more or less built the mother ship. Just recently another Chiro shared this video because someone called into The Dan Patrick show asking about chiropractors and sports teams and they actually shot this behind the scenes video for YouTube! The first video below is very short and sweet and the second video is about three times as long and shows you some more. Being that Dan Patrick is a big star on both radio and television, he was lucky enough that Dr. Lee Rumley came to his studio in Connecticut to treat him! While what is shown in this videos is good, I believe they played up some of this to an extent for TV. If you suffer with low back pain, sciatica, or any other form of issue, you should probably think over giving us a call! We can do everything you saw in this video and so much more. These videos showed very little soft tissue work being done to help correct low back pain and sciatica long term. We would also follow up after a few visits with recommendations for physical therapy or home based corrective exercise. Feel better sending us an email? Would you like the original link to The Dan Patrick Show for the video? If you are familiar with The DP Show, you should probably note how The Dannette’s huddle around the entire time, it’s pretty cute when you watch it from that view point.